An easy to handle, quick set up banner system. An extra wide, extra tall retractable banner display. Twice the 33.5" x 78.75" image area of the single. 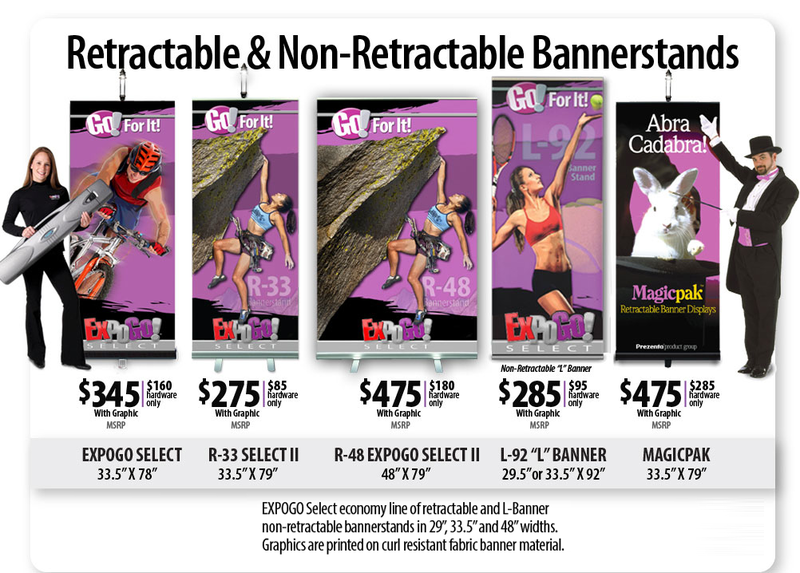 Four retractable banners produce a 120" backwall. Protects your MagicPak and stores 12V LED light.